Recently the question about how to sketch diversity and people from different ethnic and cultural backgrounds quite a few times during Q&A after my talks and in my workshops. It is a interesting and important question to raise and one with no quick and easy answer. 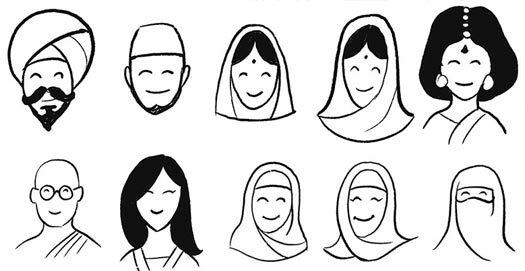 Like diversity itself, how to represent it is a nuanced question with lots of subtle undertones and hidden assumptions being hidden in how we see and draw 'the other' (or in the worst case, ignore them altogether). There are a few excellent pieces by fellow illustrators and sketchnoters that explore the topic from various angles showing examples from real projects and what they and their teams learned in the process. If you are interested in the topic, go read the following articles. 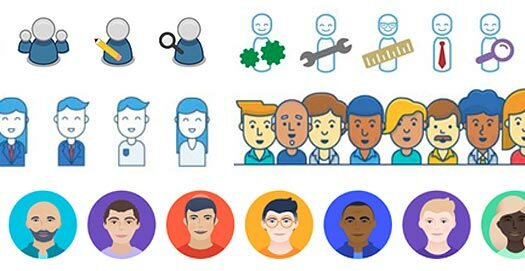 In this article Illustrator Alice Lee describes her process of designing a diverse and inclusive set of characters for Wordpress.com that they use for marketing and explaining the sites functionalities. A lot of great considerations about how shapes, colours, lines and other visual elements can subtly shift the story and our perception. A very nuanced piece article by illustrator Meg Robichaud about all the challenges and resulting considerations she encountered when building out an illustration style for Shopify. Showing people in your illustrations can bring so much richness to the story, but also adds the responsibility to be empathetic and thoughtful about how you tell this story and depict the people in it. Her thinking goes beyond just body shapes, skin colour and and other physical attributes and includes considerations about how the situations, actions and surroundings you choose convey as much or more about a person and how you view her. Ben Crothers, sketchnoter and author of Presto Sketching, makes the connection between diversity and level of detail in your sketches. He gives some practical tips how to add a diversity to your sketches by playing with simple hairstyles, accessories, body shape and posture. Nadine Roßa, a fellow sketchnoter from Berlin and author of Sketchnotes (only in German), is picking up the idea of playing with different facial and physical attributes and sketching not only different (stereo-)types of people, but actually real people, in all their diversity in appearance, character and circumstances. She also raises the question if it is possible to draw a real 'neutral' person by leaving out as much detail as possible. 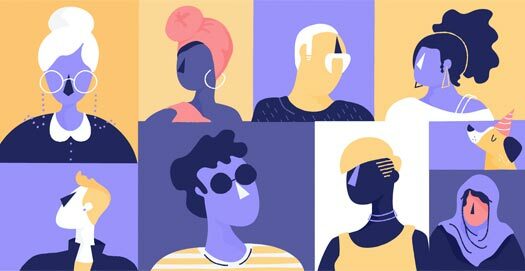 Damien Terwagne, Brand Design Manager at Airtasker, describes their approach for visualising inclusiveness through illustration in Airtasker’s product and marketing. Besides representing different ethnicities, cultures and genders, the team also considered aspects of inclusiveness like addressing stereotypical beauty standards and paying attention to how social interactions are shown. This article goes a step further and not only looks at how to visualise diversity, but also how to listen for diversity when live recording and how to encourage and record the diversity of perspectives in the room. For this piece Sam Bradd collected diverse perspectives from many experts in the field and shares them nicely structured by topic.